Running on Maui, Hawaii. Best routes and places to run in Maui. The second largest of the Hawaiian islands, Maui is a popular vacation destination, noted for its fine sand beaches and towering volcanoes. 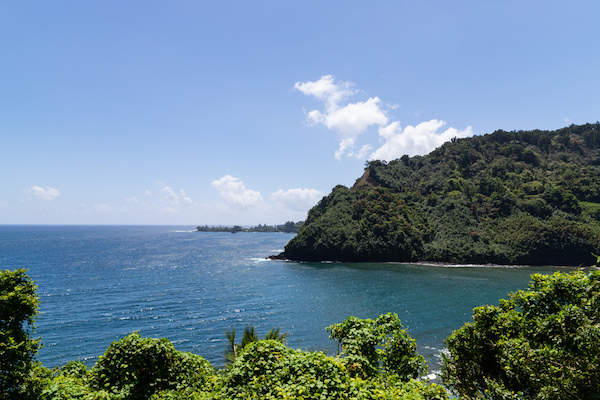 Geologically, the island is comprised of two major volcanic masses — one in the northwest and one in the southeast — separated by a valley-like isthmus. There’s a lot of really interesting terrain on Maui, considering its relatively small size. For our guide to running on Maui, we had to carefully research some of the best spots, because there aren’t that many roads—and most of the roads that do exist aren’t that great for running. The area between the more populated, resort heavy Wailea and Makena area does have a good paved stretch. 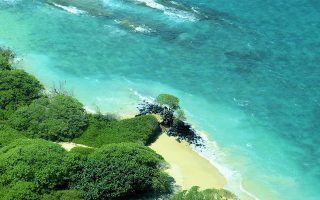 Maui is also a beach runner’s paradise, with long swaths of sand stretching along the coasts near Wailea Beach, Kaanapali Beach, and Kanaha Beach. 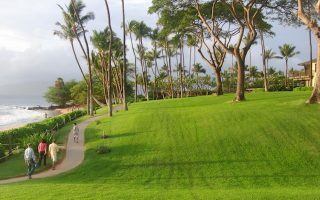 In the resort areas of the island, near Wailea and Lahaina, the paved and boardwalk paths of the Kaanapali Beach Walk and the Wailea Beach Path offer short but satisfying running routes. One of the ‘must-dos’ for runners in Maui are the coastal and volcanic trails, which provide stunning scenery and shelter from the hot Hawaiian weather. In terms of getting around, there are taxis, hotel and tour shuttles, but a car is generally needed to get around. This is one of the most popular paths on Maui. Not only is it a gorgeous beachfront walkway with an easy flat surface, it starts just around the corner from several resorts. Kahului, tucked into the north side of the valley near the airport, is one of the most populous areas of the island, and home to one of the longest stretches of beach on Maui. There is also a nice section of bike path which parallels Stables Road. 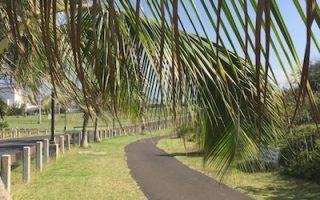 The largest park on Maui at 110 acres, with a couple of miles of paved trails over rolling hill terrain. Popular spot for 5k races. Across from War Memorial Stadium Complex which has a track and a runnable ~1 mile section of Kahului Beach Rd. 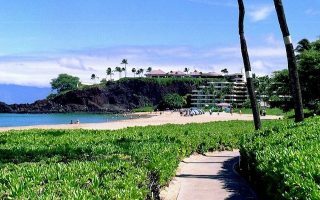 If you prefer to break away from traffic in the Wailea area, you can break off onto the Wailea Beach Path, a beautiful 1.5 mile boardwalk stretching along the sea in the premiere resort area of the island. 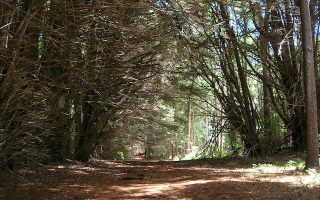 This is a 5.7 mile forested route with heavy leaf cover and a springy pine needle coated path. 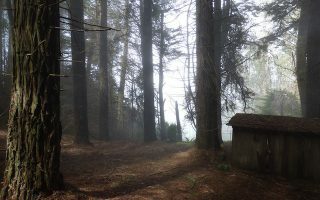 It's a hilly trail run recommended by the Valley Isle Road Runners. Wailea and Makena — Wailea Alanui Dr. 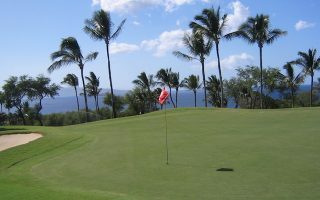 This Wailea/Makena route is a paved route through the golf courses in Wailea with oceanfront views and a lava field in Makena. 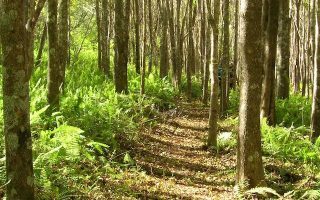 Waihao Spring is another heavily forested, pine-needly trail, though significantly easier than the Makawao loop. One trip around is a flat and steady 2.8 miles, without much uphill gain. This 9 mile singletrack loop boasts a high elevation climb winding up to ocean vistas. A one-of-a-kind run on a barren volcano, with incredible ocean views. Very challenging 10-mile run to the 10,000-foot summit is 3,000 foot gain. Or, have a partner drop you part way or go up for sunrise and run down. 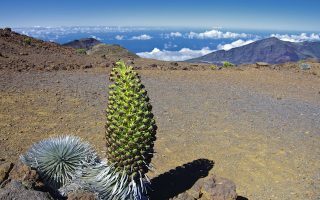 The tourism site at gohawaii.com can help plan your trip. Most of the shoe stores on Maui are your run of the mill chains, but the Valley Island Road Runners has group runs and tons of resources on local running. Maui Runner. Great resource for running on Maui. The Valley Island Road Runners also have a list of top upcoming races on Maui.